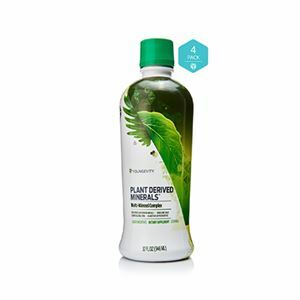 EnviroAir Hypoallergenic Formula is a specially formulated concentrate for the Pure Air Revitalizer. It contains six essential oils currently classified by the International Fragrance Association as non-allergenic – Wintergreen, Wild Thyme, Myrrh, Vanilla, Sandalwood and Cedar. It’s the best choice for those who are extra sensitive. Place the Air Revitalizer in any room that needs a lift, plug it in and the Revitalizer will do the rest, gently circulating and cleansing the air to create a noticeably fresher environment. 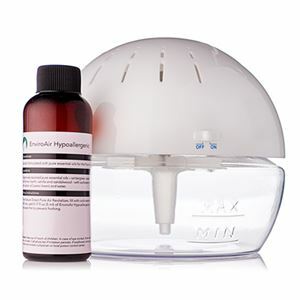 Fill Revitalizer with cold water to the MAX line, add 5ml of EnviroAir™ concentrate and plug in. Top up water as required, ensuring the level does not fall below the minimum mark on the bowl. Change solution every couple of days.